The lives and works of the celebrated Bronte family are so ingrained in our cultural psyche that we think we know them inside out - but walking in the footsteps of the literary greats and their characters offers a new perspective on their work. Our journey begins in Cambridge with the arrival of the young Patrick Bronte and follows his family's fortunes as they grow up in their home village of Haworth. We see the wild moorland locations that would inspire the haunting Wuthering Heights and the dour schools they attended that would later feature in Jane Eyre. We visit the homes of family and friends that provided the settings for many of their novels and travel with them across the industrial West Riding to York and the coast. 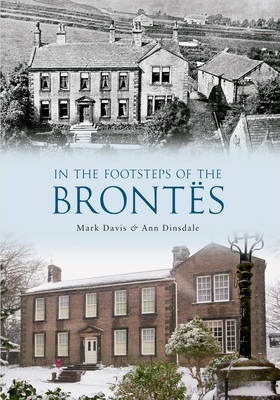 This spectacular collection of photographs old and new explores the people and places that the brilliant Brontes knew and loved. Mark is a keen social historian and has photographed Bradford from the core out for several years, recording the changing history of this great northern city. He is the owner of the Meanwood Park archive. Mark lives in Haworth, Bradford the home of the Bronte sisters. Ann Dinsdale is Collections Manager at the Bronte Parsonage Museum, Haworth. She lectures and writes on aspects of the Brontes' lives and social conditions in mid-nineteenth century Haworth. She is the author of The Brontes at Haworth (Frances Lincoln, 2006) and a contributor to the forthcoming companion to Bronte Studies to be published by Cambridge University Press. Ann lives in Haworth.